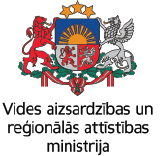 On 20th and 21th May, 2019 the seminar in Kupiskis municipality will be dedicated to problems of degraded territories. Participants will be acquainted with agenda of activities. Project leader Daiga Zigmunde will give an overview on BrownReg project, benefits from the project activities for Kupišķi municipality will be described. There will be presented problematic issues on degraded territories, investigation, planning and use of degraded territories, as well as application of legislative acts in identification and management of degraded territories. Presented topics will be discussed and creative workshop will take place. In Naivių village, on former oil products station area will be planted phytoremediation plants. Seminar language – English/ Russian.